Guys. 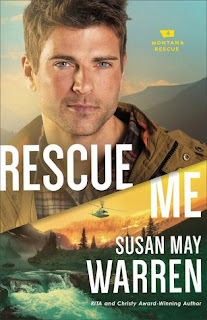 It's been a long time since I read a novel by Susan May Warren. But this new series caught my eye, and while I'd missed book one, I had no problem diving into book two. Here's a short blurb and we'll chat on the other side. 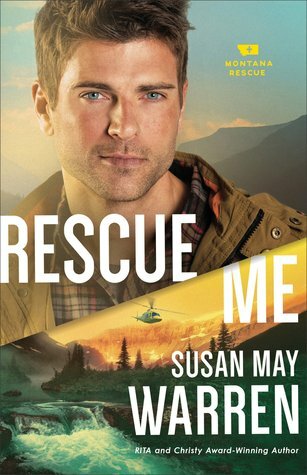 When Deputy Sam Brooks commits to something, nothing can sway him--not just on the job as liaison between the Mercy Falls sheriff's department and PEAK Rescue, but in his private life. He's the one who stuck around to take care of his mother after his father's accidental death. And he's the one--perhaps the only one--who believes Sierra Rose is the perfect girl for him. Safe, practical, and organized, she's nothing like her hippie, impulsive, bleeding heart sister, Willow. Willow, however, has been in love with Sam Brooks for as long as she can remember. But she wants her sister to have a happy ending. Besides, Willow has other things to focus on--namely, nabbing the job as youth pastor for her small-town church. Best thing for her to do is to purge Sam from her heart. Like I said above, while this is a series you can easily pick them up to read as stand alone titles. There was so much to enjoy about this story. Warren is always great at writing her heroes, and Sam was no exclusion. What I liked was not only his struggle over his heart for Willow, but his struggle with his brother as well. It deepened Sam's emotional and spiritual arc, making his journey authentic. And he wasn't a perfect character--at times you might not even like him. But he was very quickly redeemable. Willow's struggles were also organic and left you rooting for her. I enjoyed her friends and the way she cared for others. These two were an unlikely pairing and yet it was evident they belonged together. There's an over-arching story that continues to grow in the background, and it's evident that it will culminate in the final book of this series. Meanwhile we are graced with other characters whose stories are building as we ready for them to take center stage. The balance of secondary and primary characters is something Warren does well, giving her a wide cast of characters to play with and making sure the reader is invested in each one. My only issue with the book was that the ending had a very predictable moment to it. Even still, it was sweet and we received our happily-ever-after. Definitely a book I enjoyed reading and I happily give it 4 out of 5 stars. You can purchase it here.